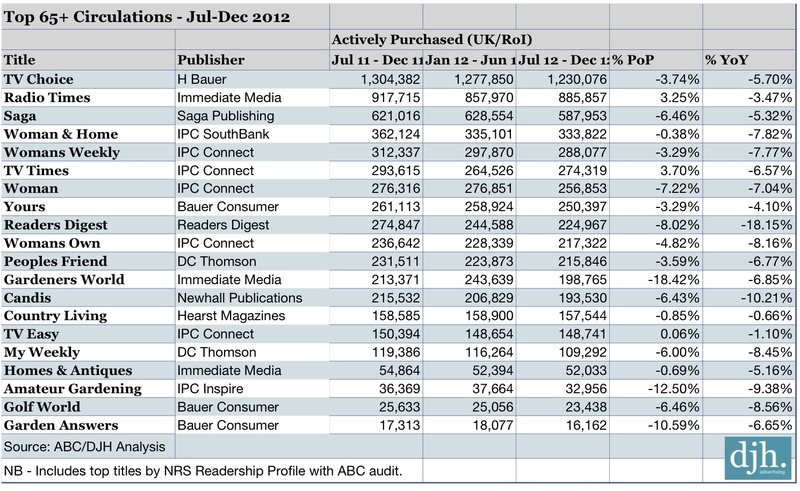 ABC Magazine Circulation figures have been released for the period July-December 2012. DJH have looked specifically at the top titles for targeting the 65+ grey market. We have taken top performing titles in terms of audience profile and looked at their circulations. Top performance in pure circulation is TV Choice at 1,230,076. It has a 65+ audience profile of 31.6% of its readership. 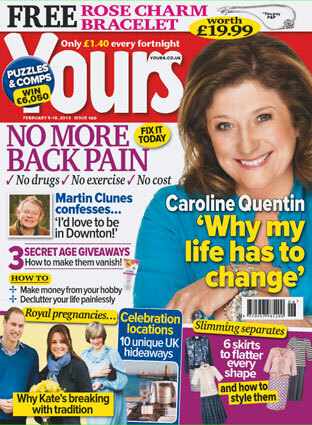 Second in terms of circulation is Radio Times with 885,857. And in third place comes Saga Magazine with 587,593, down 5.32% year on year. Radio Times profile for the 65+ audience is 40.8% and Saga a massive 70.5%. 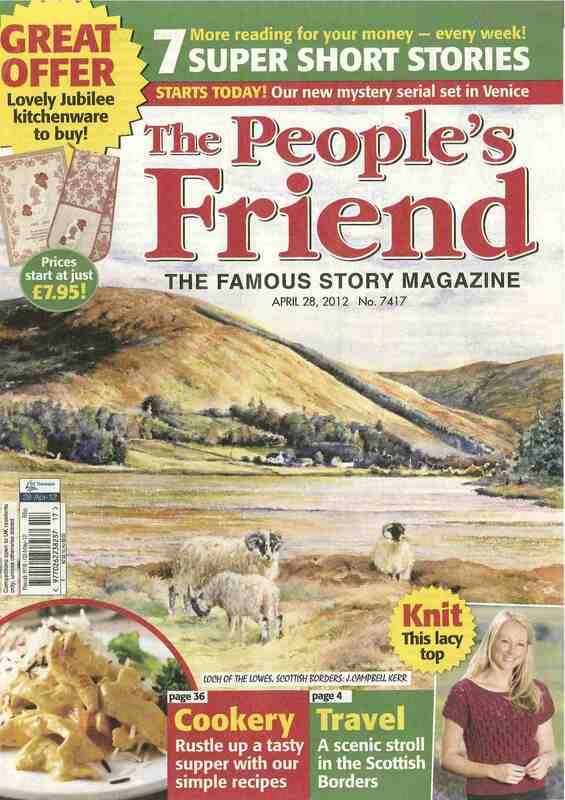 It has been a tough time for the elderly with the austerity measures and it shows with reduced magazine purchases across this market. But these titles still offer plenty in terms of circulation and are highly responsive. Check our Top 20 for the 55+ market on readership here.